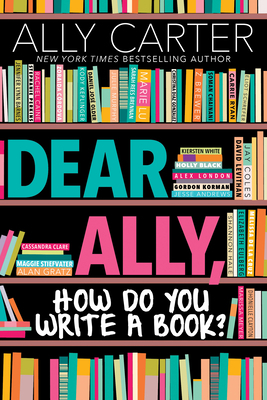 Full of advice, tips, humor, and more advice, Dear Ally is the perfect primer not just for young writers, but writers of any age! Tackling every stage of the writing process Carter pulls not only on her experience but also that of numerous other Young Adult writers, to come up with an comprehenisve and immenitely readable primer for any aspiring writer. Have you always wanted to write a book, but don't know where to start? Or maybe you're really great at writing the first few chapters . . . but you never quite make it to the end? Or do you finally have a finished manuscript, but you're not sure what to do next? Fear not -- if you have writing-related questions, this book has answers! Whether you're writing for fun or to build a career, bestselling author Ally Carter is ready to help you make your work shine. With honesty, encouragement, and humor, Ally's ready here to answer the questions that writers struggle with the most. Filled with practical tips and helpful advice, Dear Ally is a treasure for aspiring writers at any stage of their careers. It offers a behind-the-scenes look at how books get made, from idea to publication, and gives you insight into the writing processes of some of the biggest and most talented YA authors writing today.